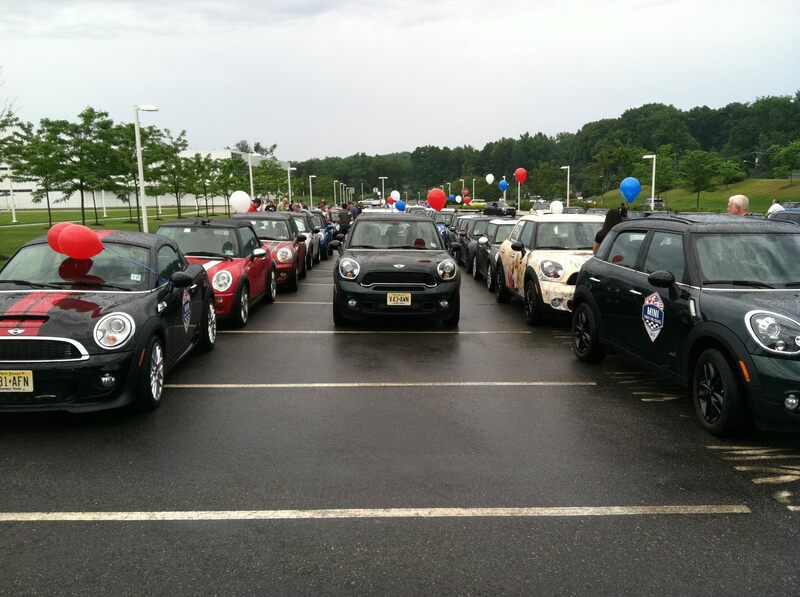 July 4th, saw the start of the adventure from New York to Los Angeles and all 16 states, 13 cities and countless towns in between; MINI TAKES THE STATES 2012. 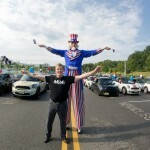 While I will not be joining the greatest rally in MINIUSA’s fabled history until later next week, thousands of people and their MINIs began the journey today, the 4th of July. 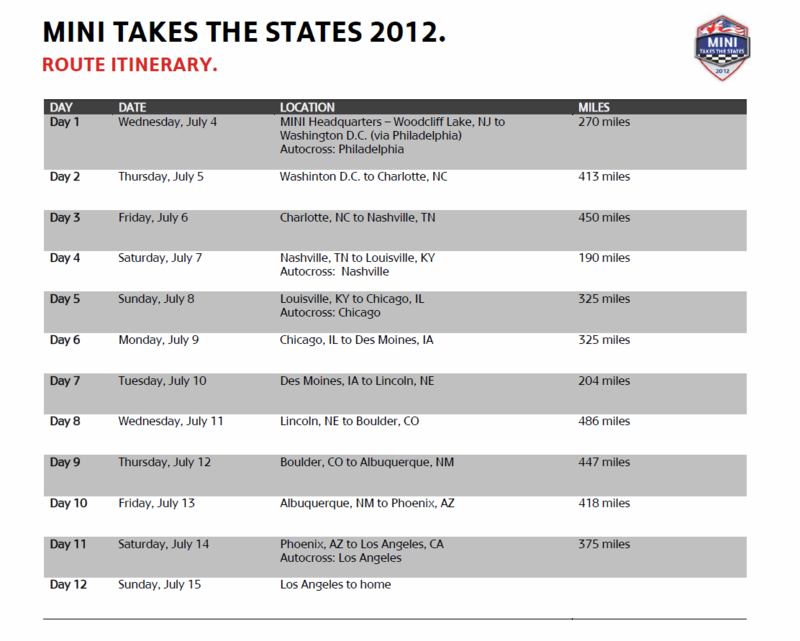 What better way to celebrate our nation’s freedom and independence than to motor across thousands of miles to celebrate the freedom of the open road. 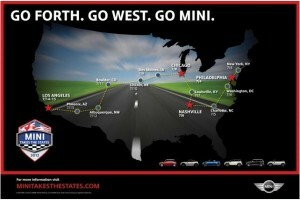 Making it all about the MINI Community is what makes MINI TAKES THE STATES so much fun. The event kicked off at MINI Headquarters in Woodcliff Lake, New Jersey this morning and will end on July Sunday July 15th in Los Angeles 3,909 miles (one-way). 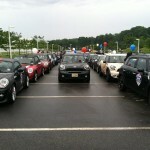 The group started early at 7:30 am for the Rise & Shine Rally at MINI Headquarters in Woodcliff Lake, New Jersey. 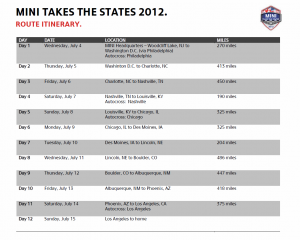 Today calls for a 270 mile drive to Washington DC where one MINI driver posted a temperature of 102 degrees. That is hot for the east coast! 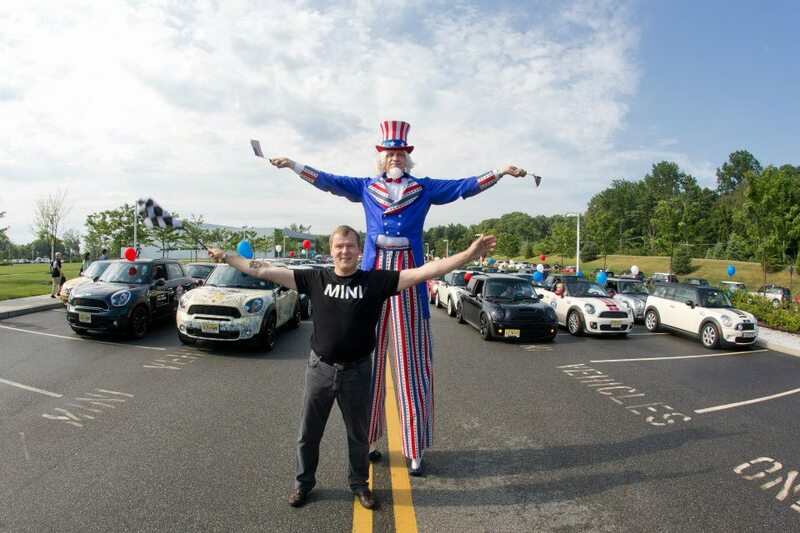 The evening event includes MINI USA and the MINI Community enjoying a breathtaking Independence Day Fireworks Display at the Nation’s Capital from the terrace of the Newseum. The evening includes hors d’oeuvers, drinks, music and MINI friends. 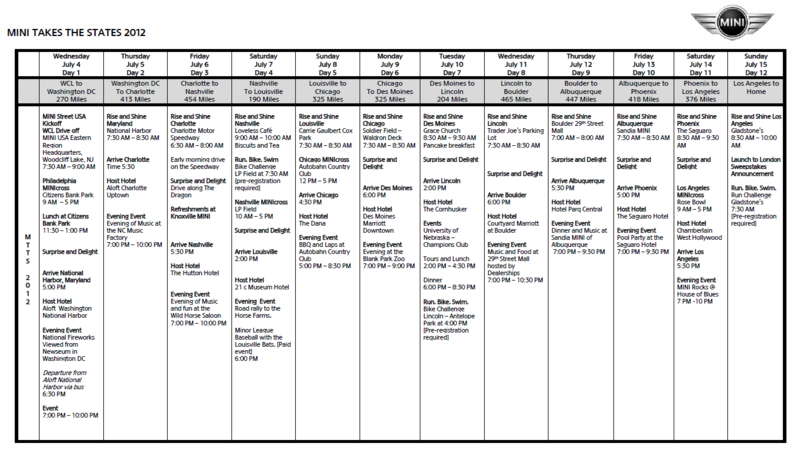 Tomorrow, July 5th the growing group heads to Charlotte, North Carolina by starting with another Rise & Shine Rally once again at 7:30 am.